Strategic communications company Publicity Creating summed up the first results of 2011 January and February in the client program "We solve problems of the client in a new way." Strategic communications company Publicity Creating summed up the first results of 2011 January and February in the client program "We solve problems of the client in a new way." We’ve done many projects, among which is an event for the German branch of ebm-papst in Ukraine - “EBM-PAPST Ukraine” company. 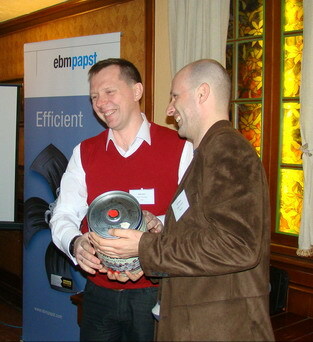 On February 25, 2011 Publicity Creating specialists prepared and held the first Congress of dealers of “EBM-PAPST Ukraine”. On this event were present dealers from Kyiv, Kharkiv, Rivne, Donetsk, Odessa and Sevastopol. During this congress, dealers learnt the strategy of ebm-papst company in the world and Ukraine, and get acquainted with new equipment, new technologies GreenTech. 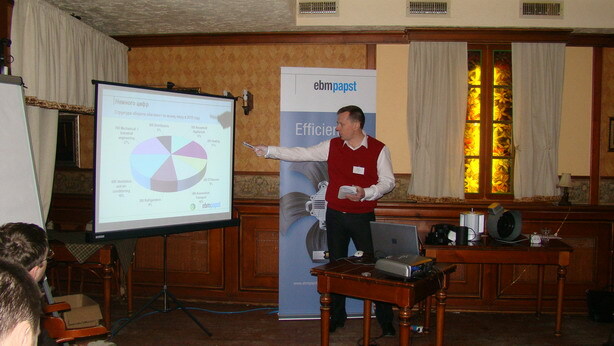 Director, senior managers and specialists of “EBM-PAPST Ukraine” were the speakers at the congress. They also discussed mutual cooperation and joint projects. Maintaining of relationships with partners in the marketing chain - one of the key factors in the development of the company, so properly conducted events for dealers effectively influence to the sales of the parent company. Thus, with the help of Publicity Creating company “EBM-PAPST Ukraine” can increase sales. The event was held at a high level, in line with the marketing program Publicity Creating «We solve the problem of client in a new way."